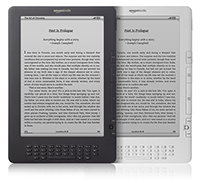 Kindle Software Update Version 2.5 Download.We’re(Amazon.com) excited to announce that a new, free software update is available for Kindle (2nd Generation) and Kindle DX. Look at the first 4 digits of the serial number located on the back of your Kindle or from Home, select Menu, then Settings. On the Settings screen you will see the Kindle version at the bottom of the screen. If you see “Version Kindle 2.5” or earlier, please proceed with the steps below to update your Kindle to the latest software.